Mompreneur Amanda Schenkenberger, creative business owner of Move the Mountains, is on a mission to inspire women to dive into God’s Word creatively through the art of Bible journaling. 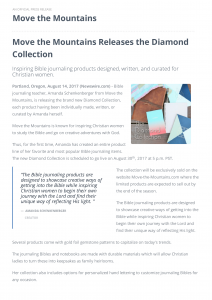 Today, Move the Mountains curates the best journaling Bibles, Bible-safe art supplies, designs helpful printables, writes Bibles studies, and creates Bible journaling tutorials for women. 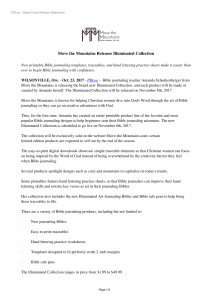 Amanda and Move the Mountains have been featured ABC, NBC, FOX, Bible Journaling with Kids, Mompreneur Media, Life Before Eternity, the Portland Business Journal, His Mercy is New, Visual Faith Ministries, and Relevant Entrepreneur. 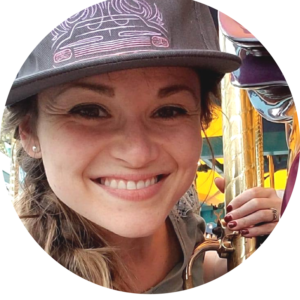 To connect with Amanda simply visit the official contact form on Move the Mountains. Social Media Sites @: Instagram @movethemountains, Facebook, and YouTube. Glory. When I asked God what He wanted me to study for this blog post, He immediately gave me this word. I’ve read it thousands of times in the Bible, but…click here to read more about this word study. I finally felt that I was doing what I was made to do and I didn’t want to stop. I wanted more of that flying, entrepreneurial spirit, but like someone lost in a daydream, I had forgotten the season of life I was in: I had forgotten I was a full-time mom…click here to read more. As a Bible journaling teacher, one would assume I am swimming with Bible journaling ideas. You would think that you could give me a verse and I would come up with all sorts of brilliant DIY entries. While I have a few good standbys in my back pocket, I am often stumped…click here to read more. Ready to try out Bible Journaling for yourself? Curious about how it can actually help you grow in your faith? Together, Amanda and Titania will teach you why Bible journaling isn’t just about watercoloring Bible verses. Yes, it’s a creative form of meditating on God’s word and promises, but it’s also a powerful way to grow your faith!…watch the webinar.